Because different applications require different fasteners, you may require assistance selecting the right fasteners in Fontana CA for your specific job. Grove Construction Hardware can help. We have both US and metric sizes of all kinds of nails, screws, nuts, bolts, and concrete fasteners in galvanized and non-galvanized metals. Anything we don’t have in stock or in sufficient quantity we can order for you. We specialize in filling big bulk orders for large contractors, but we are also happy to sell just one or two fasteners to individuals. Either way you get the same quality products and stellar customer service. 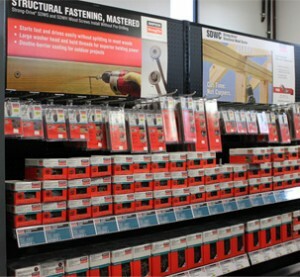 Grove Construction Hardware has a proven track record of providing the best construction supplies to local contractors. The fact that the pros trust us with their construction supply needs proves that we are professionals ourselves. We do everything in our power to make sure you get the high-quality fasteners in Fontana CA you need as quickly as possible and at a competitive price, so you don’t have to worry about your order interfering with your schedule or your bottom line. Please don’t hesitate to give us a call, use our online contact portal, or stop by our store to ask questions or place an order.